Breaking News... ex Senator Moise Jean Charle, opposition leader, announced a sudden street protest happening today, Wednesday, to force president Jovenel Moise out of office. The political opposition who announces they were going to meet this Wednesday changed their mind. 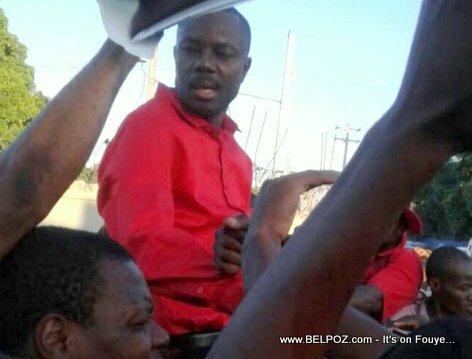 They are taking to the streets instead, announced Moise Jean Charles on a radio station in the capital on the same day. This is a sudden decision by the opposition to protest, the police was not informed about this. Journalist Guerrier Dieuseul got it out of Moise Jean Charles who could not confirm that a notice was sent to the police. The opposition always wanted to get rid of president Jovenel Moise and they have found a momentum and they are taking full advantage of it. What will happen in the country today? What is the police role in keeping law and order in the country? How are allow an individual to mobilize criminal elements to disrupt the peace and tranquilizes in the country and, destroy and vandalize BUSINESS AND CAUSE THE DEATH OF CITIZENS. I would like to know why stupid moise Jean Charles.